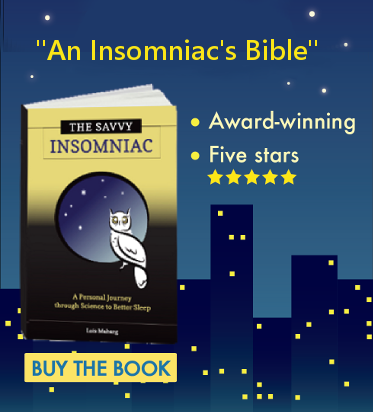 Insomnia is big business these days, and not just for Big Pharma. 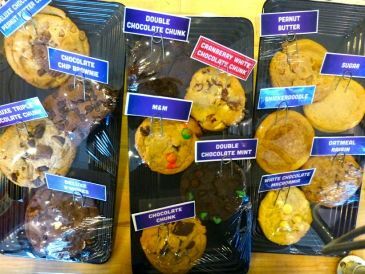 Insomnia Cookies, the chain of late-night bakeries located in campus towns across the East and the Midwest, is opening up a new store every few months. A sweet bedtime snack delivered right to the doorstep: now there’s a concept Dr. Atkins would have frowned on. But what effect would eating a late-night treat have on students’ sleep? I’ve wondered what’s behind the name of this store and its appeal. Are the cookies intended as a sort of high-octane fuel for students cramming for exams? Or are they supposed to assuage the food cravings of students who are anxious because they can’t sleep? Lots of things in life are not as complicated as I imagine them to be. I asked Josh if they get a lot of business late at night. The Sugar High: Myth or Reality? Your body converts all carbohydrates—whether in the form of vegetables, grains or snacks–into glucose and then transports it via the bloodstream to cells throughout the body for use as energy. Most desserts are high in simple carbohydrates such as sugar and white flour, which the body metabolizes rapidly. So they may initially give you a burst of energy that would not be conducive to sleep. But that burst of energy—if and when it occurs—is relatively short lived. In one study of adults, eating a candy bar resulted in subjects reporting increased energy and reduced tiredness after 1 hour but greater tiredness and reduced energy after that. In another, while 400 ml of fructose—the form of sugar found in fruit and honey—delayed the onset of extreme drowsiness in drowsy subjects by 20 to 30 minutes, 400 ml of glucose had no more effect on drowsy subjects than water. I’ve combed the journals for other information about the acute effects of sugar on sleep but have come up empty handed. So it’s safe to assume that while a sweet treat is not exactly soporific, neither will it likely keep you up. What about desserts containing chocolate? 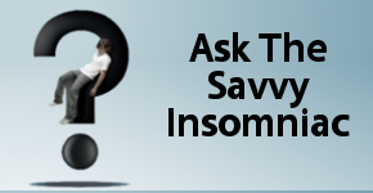 Here, insomniacs are on shakier ground. If you crave a sweet at bedtime and you’re really caffeine sensitive, you’d be better off going with a snickerdoodle than a chocolate chip brownie. But the amount of caffeine in chocolate is far less than the amount in coffee and popular energy drinks. While a 12-ounce cup of Starbucks coffee contains 260 grams of caffeine and an 8.4-ounce can of Red Bull contains 80 grams, a 1-ounce square of dark chocolate contains only 12 grams. Milk chocolate contains less caffeine, and white chocolate, much less. An occasional late-night treat may not affect your sleep. But habitually indulging your sweet tooth is a risky business. Apart from the fact that eating lots of simple sugars may cause you to gain weight (and being overweight increases your risk of developing type 2 diabetes), a high-carb diet does not square with stable, high-quality sleep. People whose diets were lowest in protein and highest in carbohydrates reported poor sleep-wake regularity. A macadamia cookie at midnight is not going to hurt your sleep. But avoid making a habit of it if you love figure and your sleep. If you get late-night food cravings, what do you eat?